The long awaited news of Blessed Cardinal Newman’s future canonization is close. The Holy See has confirmed as miraculous the second cure attributed to his intercession. Cardinal Newman was born in 1801 in London and died in Birmingham on August 11, 1890. He was beatified by Pope Benedict XVI in Birmingham on September 19, 2010. Newman was a great thinker and writer, a holy priest, and the founder of Oratory of St. Philip Neri in England. He was the first rector of the Catholic University of Ireland, and founder of the Oratory School in Birmingham. His life and writings address a wide variety of doctrinal, moral and spiritual truths and offer us many important insights. His canonization to be announced in the future by Pope Francis will bring many spiritual fruits for the Church. Among other things his liturgical memorial, until now only celebrated in England, will be commemorated throughout the world. It is my hope that he will inspire to holiness many young men and women, in particular those who attend the hundreds of Newman centers in the secular universities of the United States. 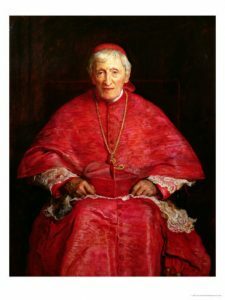 I invite you to read my biography of Cardinal Newman Passion for Truth, the Life of John Henry Newman or my shorter book Holiness in a Secular Age, the Witness of Cardinal Newman. That is wonderful news, Fr. Juan! Blessed Newman, pray for us! I heard this initially on EWTN’s show Called to Communion this afternoon! So the news is spreading quickly, it made it all the way to Denver! Yes, this is wonderful news. Thanks be to God. Viva Cristo Rey.